"While only 12 designers will be selected to compete, other designers will be allowed to participate in the event under the normal procedures", explained Indira Moss, Production Manager. "The 12 competing designers will be notified of their selection early in January so that the film crews can start shooting in February in the respective countries." 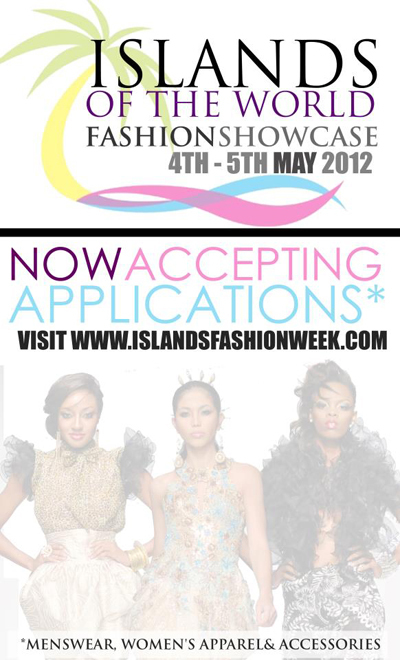 Applications for designers can be obtained from the Registration page of the website, www.islandsfashionweek.com. Submission of applications will continue through to 20th January 2012. General enquiries can be sent to info@islandsfashionweek.com.